Your lawn and garden need a good supply of water to thrive and look their best. While watering regularly with a hose can be enough to keep your garden hydrated, it is a time-consuming process, especially if you have a large space to water. 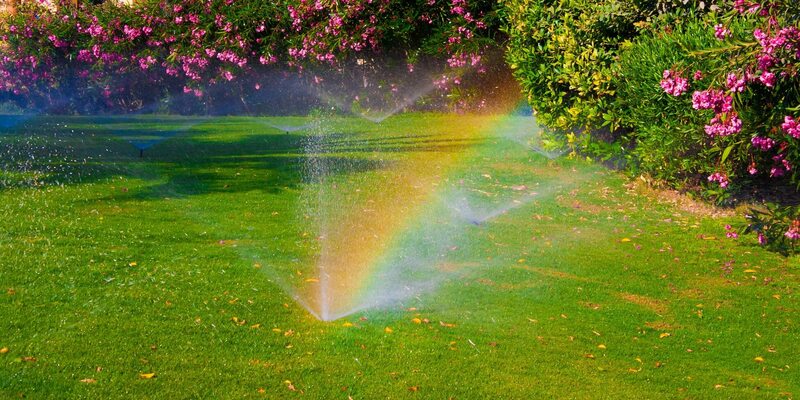 For most, it takes more than a few splashes with the hose to get your garden green and beautiful, so keep reading to learn more about the right ways to irrigate your lawn and garden. 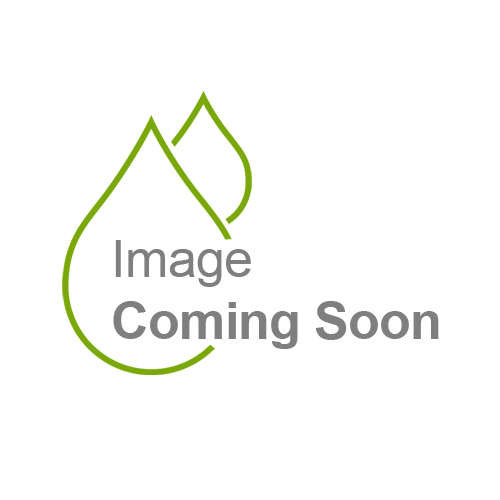 People are often concerned about how much and how frequently to water their lawn and garden. The truth is that it changes from month to month and even day to day. On a really hot summer’s day, you need to water more than on a cool, cloudy day. As a general rule, it’s good to water around 3 times per week. An irrigation system from SunshowerOnline allows you to set a timer to water every other day to help you keep your lawn and garden green and healthy. The time of day that your water is just as important as how much you water and how frequently because you need to give the garden time to soak up the water. It might seem like a good idea to give the garden some water in the middle of a hot summer’s day. However, under those conditions, the majority of water evaporates before your grass or garden has time to make use of it. For this reason, watering in the early hours of the morning is ideal. This allows the water to soak deeply into the soil and get to the roots of the plants. If you know it’s going to be a hot day ahead, give your garden an extra watering in the early morning to ensure that the ground soaks up as much as it can before the sun rises. For ultimate convenience, you can set your irrigation system to give your lawn and garden a thorough watering between 4 am and 6 am while you sleep. While it’s good to water in the early hours before the sun comes up, it’s also best to avoid watering at the end of the day. Watering in the morning allows the water to soak in before the sun rises. Then, with the rising of the sun, the water evaporates and reduces the chance of fungal growth. Conversely, if you water at night and leave the water sitting in the soil overnight, then there is a much greater chance of fungal growth and the resulting lawn diseases. Lawn sprinklers that are built into the ground are the best for large patches of lawn because they are easy and reliable to use. With the timer set, the sprinklers will run on schedule with minimal worry. 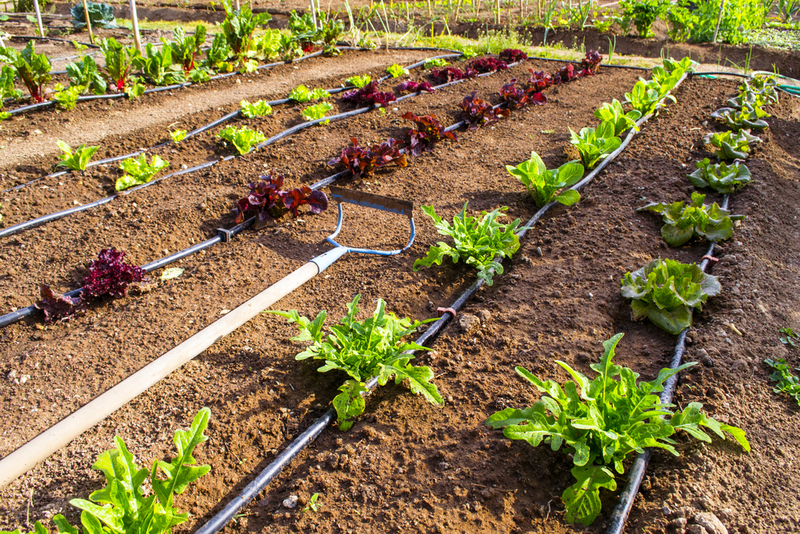 Drip irrigation is great for vegetable patches and similar garden bed setups. The drip irrigation system slowly allows the water to flow out of tubes with much less pressure and flow than sprinklers, but still keeps your garden hydrated and fresh throughout the day. A home irrigation system makes your life easier by taking one extra thing off your daily to-do list. Additionally, it also ensures your lawn and garden gets the regular watering needed to thrive. When you set the timing, you wake up in the morning and doze back off to sleep because you have the peace-of-mind that the sprinkler system is doing the work for you. We wish you the most beautiful and flourishing yard and garden in your neighborhood this season.